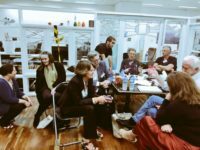 RESEARCH REVOLUTION FUNDRAISING GALA – AUSTRALIA – JULY 2018 On 14 July 2018, Meeting for Minds is hosting a Fundraising Gala in Perth, Australia. Please find the details below. For bookings and information, please contact Jane at jane@meetingforminds.com or on +61 (0)488 722 759. Meeting for Minds is excited to hold our upcoming Meeting for Minds Switzerland SYNERGIES Launch Event, on 8 February 2018 in Lausanne, Switzerland.